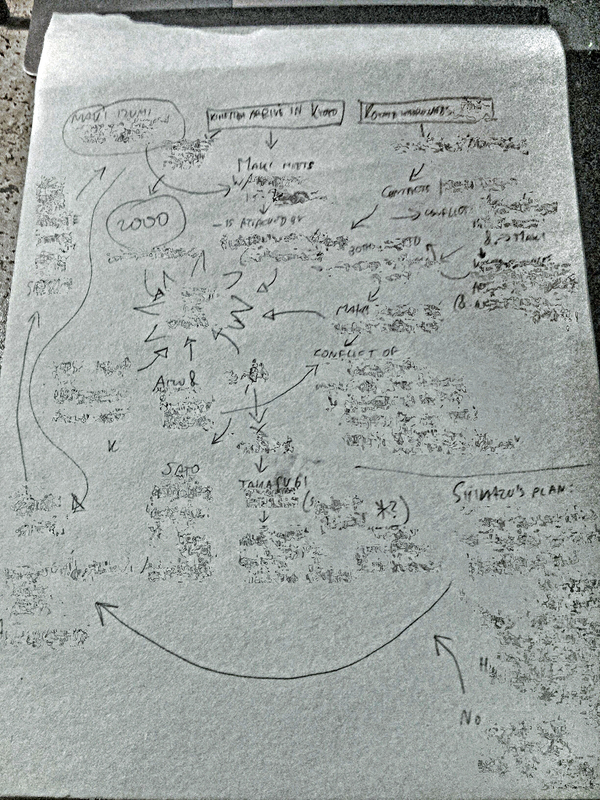 Earlier this year I showed you how I tried to make sense of the plot of “Chrysanthemum Seal“. I managed to fit most of it on a single piece of A5 paper. 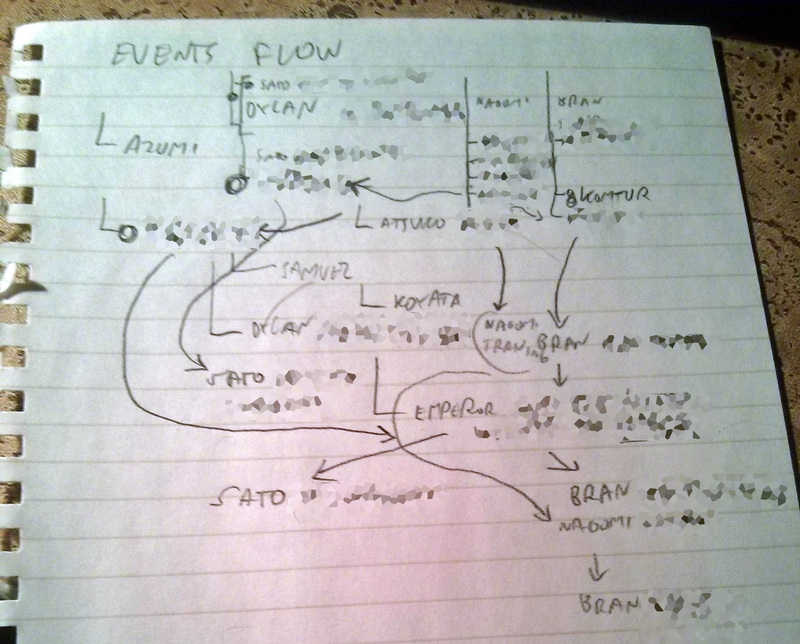 This picture, on the other hand, shows a single plot-line of the next book (mostly POVs of Sato and Shoin). 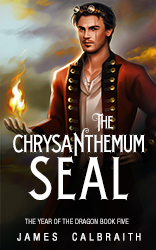 Just letting you know that “Chrysanthemum Seal” is now available in paperback. We’re travelling again this summer, so I’ll be mostly present on the other blog until we’re back to more stable conditions. That’s all for now, over and out! NEW RELEASE! CHRYSANTHEMUM SEAL IS OUT! The files are uploaded, verified and approved. 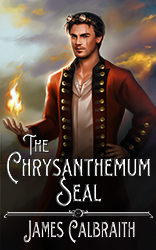 The Chrysanthemum Seal is out now! With Bran seemingly gone from Yamato forever, his friends settle in their new lives, their common adventures a distant memory. 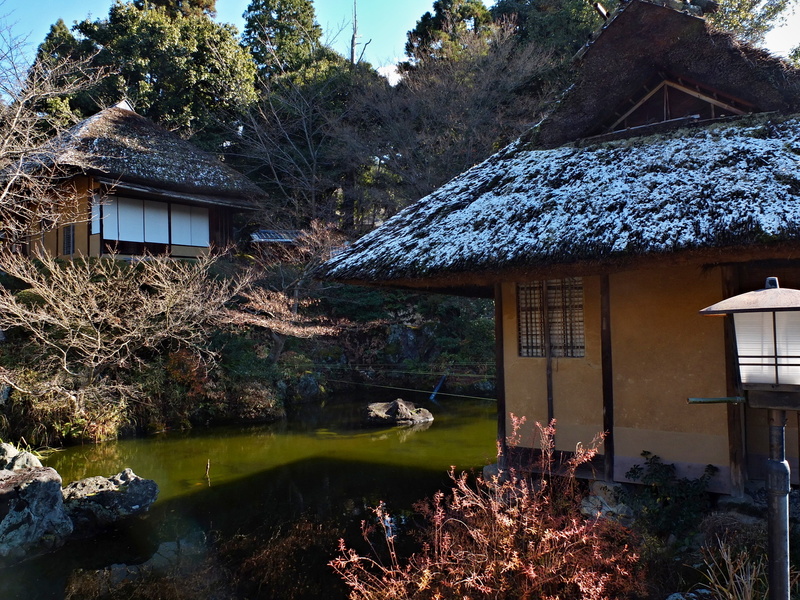 Sato enrolls in Lord Nariakira’s school of wizardry, while Nagomi joins her father’s medical practice in far-away Nagoya. It is the Sixteenth Year of Queen Victoria. In the powerful empire of Dracaland, Bran, a young dragon rider, joins his father on a military expedition to the mysterious lands of the Orient. In the reclusive Yamato, Sato, a tomboy samurai girl, strives to prove her right to inherit her father’s school of western magic. Nagomi, a timid shrine apprentice, is haunted by the visions of dark future she must keep secret even from her best friend. They don’t know it yet, but their paths will cross… And when they do, nothing will ever be the same again. Welcome to The Shadow of Black Wings, a steam-powered romp across the land of dragons, wizards and samurai. It’s big, it’s fast, it’s been compared to Tolkien in terms of world-building, it has strong female characters and lots of carefully researched detail. You will meet the Royal Marines sailing mighty ironclads and Chinese walking machines; mysterious warlords and crazy inventors; you will discover dark prophecies, family secrets and blood-thirsty demons. And all that in just the first volume! 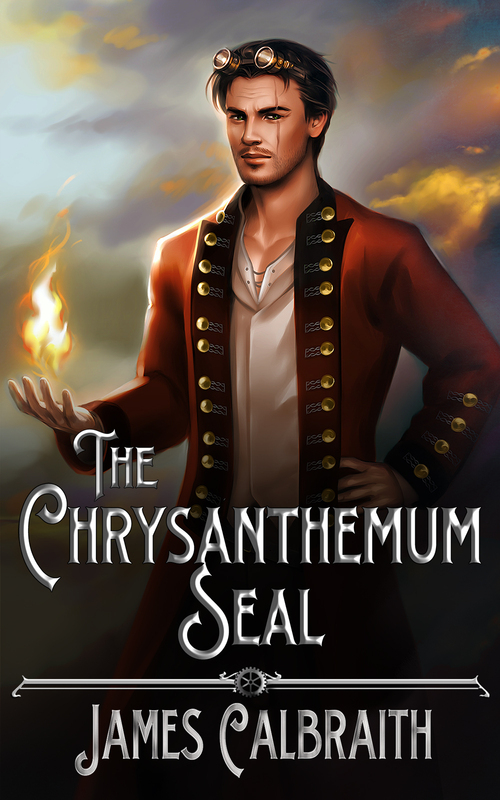 Or if you don’t want to read the books piece-meal, dive straight in and splash out on the bundle of the first four volumes – this will bring you right up to date with the events leading up to the Chrysanthemum Seal! The deluxe edition contains also a short story “Birkenhead Drill”, a full glossary of foreign words, list of characters, the map of the land of Gwynedd and a chronology of the world. 2048: The Year of the Dragon Edition! A year ago, I published the fourth book of The Year of the Dragon, “The Rising Tide“, with a solemn promise to myself and my readers that the book five would be released “soon“. “Soon” is a relative term. On one hand, some authors churn out novels every other quarter. On the other, GRRM takes five years to finish one of his door-stoppers 😉 Writing and publishing a book is never a fast and easy job, especially since I had to start writing Chrysanthemum Seal from scratch. Still, I didn’t expect it to take a full year, so I feel like I should explain exactly what took us at the Flying Squid so long to get things done. May 2013 – we spent most of it preparing the Bundle Edition of the first four books, as well as the paperbacks. 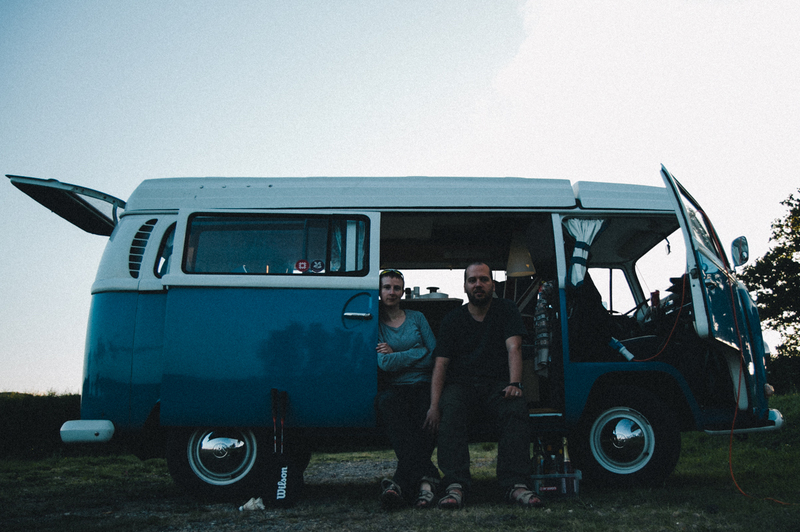 June-October 2013 – The long awaited Great Round-Britain Journey in our little blue campervan, Orca! The plan was for me to start writing Book Five on the journey, but the reality got the better of us. There was simply too much to do, between driving around, sight-seeing and writing the blog. By the time we got back, all I had were just a few pages of the very rough draft and some plot ideas. 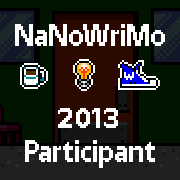 October-December 2013 – The first really intensive period of writing, including a try at NaNoWriMo in November. I got up to some sixty thousand words by December, at which point I started burning out a bit. The cover was ready in December. December-February 2014 – This period includes a long trip to Japan, to regenerate and gain inspirat ion. I manage to get writing again, and the result is the 1st Draft ready in February. February-March 2014 – I go through three more drafts and revisions. The book changes a lot over this period – the end result is hardly recognizable from what I envisaged back in October! I take part in two collaborative processes, the NovoPulp anthology and the Steamlit Extravaganza. April 2014 – The final (5th) draft is ready for Easter. A week later, it’s proof-read and formatted. As I write this post, the Amazon-ready mobi file is in the final read-through. With a projected upload to KDP on Wednesday, we’re still good for the May 1st release. The paperback will follow soon after. Incidentally, if you are, or know, a voice artist looking for work over on ACX, I’ve posted “The Year of the Dragon” as project, and I’m awaiting auditions on the royalty-share basis. 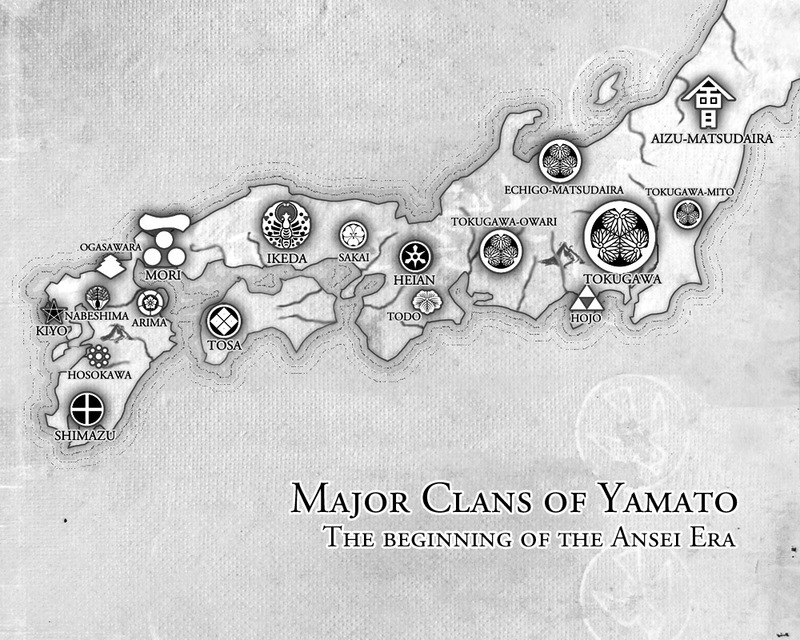 To celebrate the long-awaited start of the new season of Game of Thrones, here’s a GoT-style map of Yamato, showing the major Clans at the time of the events in the book, along with their crests. The map was created by metruis, and will be included in upcoming The Year of the Dragon Book 5: The Chrysanthemum Seal. Hi all, I’ve got some actual news for you this time! A group of speculative fiction writers over on Google+ teamed up to publish a yearly short story anthology, and the first volume is launched today. It’s called NovoPulp, and the reason I mention it is because you can find one of my short stories (published before in Transmission) there along with many others. Do check it out – the stories are all good, and the quality of the edition is very high – there are even colour illustrations! If you hurry you can sign-up for a giveaway over on NovoPulp website HERE. Finally, later this month (April 21-27) I’ll be taking part in “SteamLit” Steampunk Extravaganza – a sale event, in which 13 steampunk writers lower their prices by half. So it’s yet another chance to grab the first four volumes of “The Year of the Dragon” at a bargain, just in time for the fifth book! I’m finally wrapping up the first draft of the Chrysanthemum Seal, and immediately getting to work on second draft (there’s so much to fix already!) but first, I have to finally sit down and order the scenes around. I managed to write this draft scene-by-scene in no particular order, as I felt it, with the entire plot in my head; but it eventually grew so complicated that before I could set the whole thing into chapters, I had to draw this: the order of events, as they happen in book-time. I have a bundle of publishing news for you. First of all, I’ve been putting “The Shadow of Black Wings” on Wattpad, in weekly installments. If you have an account there, and you haven’t yet read my books, you can read the chapters for free as they appear, week by week. Secondly, I managed to get my e-books on Apple iBookstore. You can buy and download them all from here, or by searching for “James Calbraith” on iTunes. Don’t forget, you will also find the audiobook of “The Shadow of Black Wings” while you’re there, to download for free. Thirdly, if you’re based in Germany, you can now download my books from Thalia, Weltbild and der Club bookstores (as well as Amazon.de). The books are now appearing in online shops all over the world. In Malaysia, you can find them at e-Sentral, in Spain at Casa del Libro, and in India at Flipkart. And lastly, my paperbacks are now all available at Barnes&Noble online bookstore, and the e-books should appear on the Nook within a few weeks. The upcoming 5th book of “The Year of the Dragon” series is still being written – I recently passed the 50k mark on the first draft – and expected for release no sooner than spring 2014. In the meantime, however, I am pleased to reveal the cover for book 5 – The Chrysanthemum Seal.